News » Are You GDPR Ready? The EU General Data Protection Regulation (GDPR) is very important change in data privacy regulation in last years. Enforcement date: 25 May 2018. You have to make changes in your company and on the website or in the online store. Is Your Quick.Cms.Ext website or Quick.Cart.Ext shop ready for GDPR? 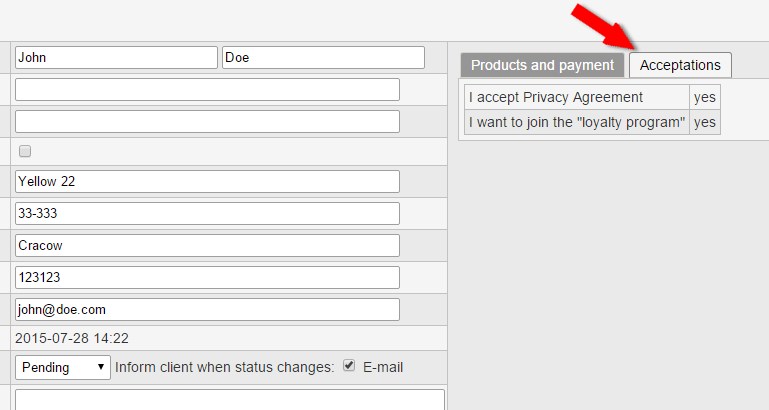 Checkbox must be selected by the client. For example, in the Quick.Cart.Ext v6.7 system (special version available from 5 April 2018) this information will be provided by the administrator in the email notification and also in the admin panel if the customer has registered or placed an order. You don't know the cost of upgrading your website or store?